The 2019 Al Mouj Muscat Marathon will serve up course routes offering stunning surroundings and fast, flat terrain that opens the door to personal bests and perhaps even world record performances. What’s more, the marathon, marathon relay, half marathon and 10K routes have all been certified by world-running organisation AIMS, aligning the 2019 event with International Association of Athletic Federation (IAAF) standards. With Kenya’s Eliud Kipchoge recently smashing the marathon record in Berlin, the time may be ripe for the extremely fast completion of a Muscat course described as “beautiful” by the women’s world marathon record holder Paula Radcliffe. The iconic British athlete, who is the international ambassador for the marathon’s eighth edition, was entranced after she ran part of the route during a recent visit to Oman. 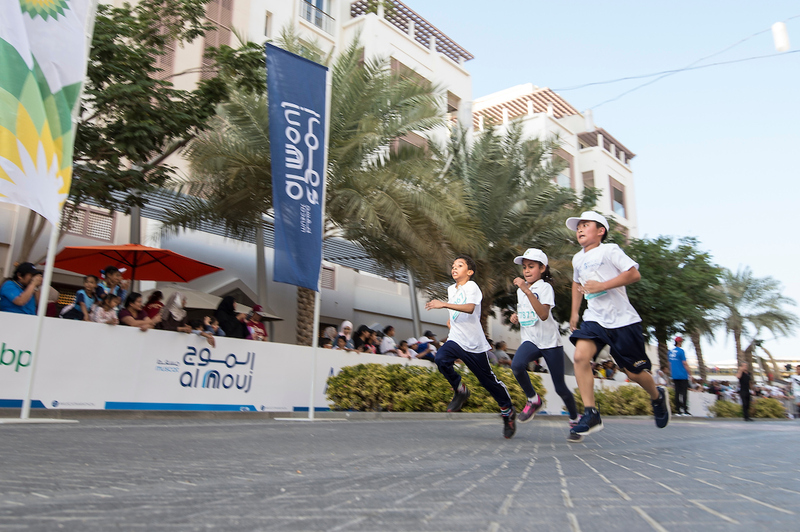 The start and finish of the Al Mouj Muscat Marathon is in the heart of the vibrant waterfront community that has given its support and name to the international event. Immaculate lush greenery offers the perfect backdrop for the build-up – and cool down – of the main event. With Oman’s premier lifestyle development, Al Mouj Muscat, at its heart, the 2019 marathon route will feature stunning scenery as the course heads into the surrounding area. Runners will enjoy coastal views on the palm tree lined section to Seeb, alongside a beach lined with traditional fishing boats, the refreshing greenery of the route through Al Mouj Golf, and the majestic architecture of a new mosque adjacent to the course. The full marathon on the 18th January is the centrepiece of a two-day festival of running which will also host a half-marathon, marathon relay and 10k race on the opening day, with a 5k charity fun run and a Kids’ Run completing the weekend’s races on the 19th January. Many of the thousands of runners taking part in the six race categories will be eligible for a share of the substantial prize-money pot. A ‘Most Active School’ prize of fitness equipment will go to the school with the Kids’ Race finishers and, in addition, a prize is also on offer to the fastest team of five college undergraduate students to complete the Charity 5k. Organisers urge those planning to register for any of the Al Mouj Muscat Marathon event categories to act now, as the current standard offer expires on 19 November 2018, after which late entry fees will apply.